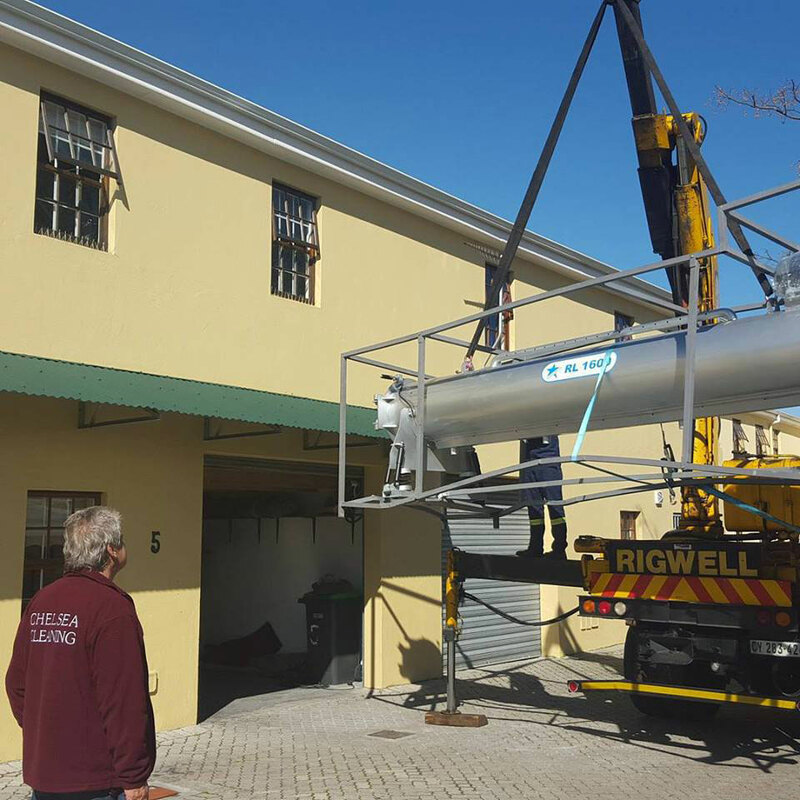 Our approach isn’t one our competitors in and around the Cape can rival – and it has unbeatable results, cleaning and restoring carpets of all types without putting them at risk of shrinkage, fading or other damage. 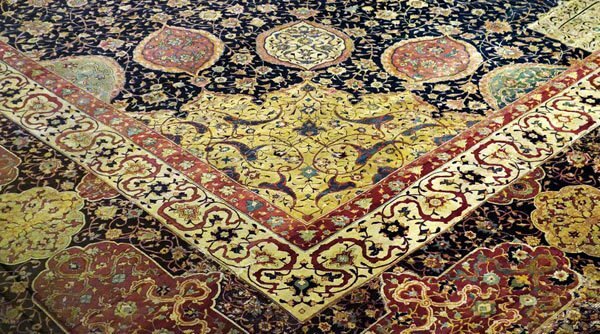 For centuries, people have beaten their loose rugs to remove dust and other debris from them. This is still the best way to remove dirt from a carpet before washing it, providing far superior results to vacuuming alone. Some things have changed, though, including the tools available to help with the beating process. 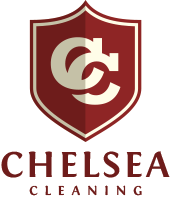 At Chelsea Cleaning, our Rugmaster delivers far more effective beating than you could ever achieve with a manual beater and muscle power alone. For highly sensitive or shaggy carpets and flokatis, we still resort to good old “elbow grease”, beating the carpets by hand. 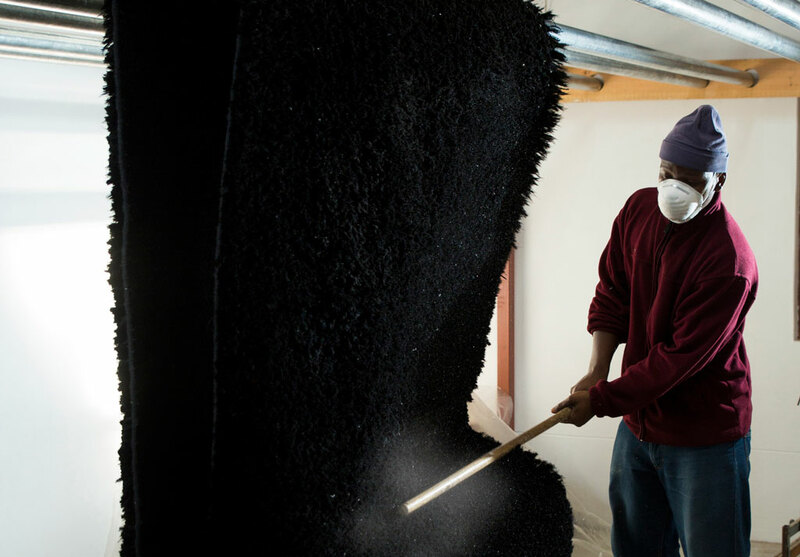 After we’ve beaten a carpet, our approach depends on what materials the carpet is made from. This determines the cleaning solutions we use, as well as the nature of the washing and drying processes. For all loose carpets and rugs, we treat stains with an appropriate stain remover and then use a special, non-residue carpet cleaner, formulated for safe use on the relevant carpet type. 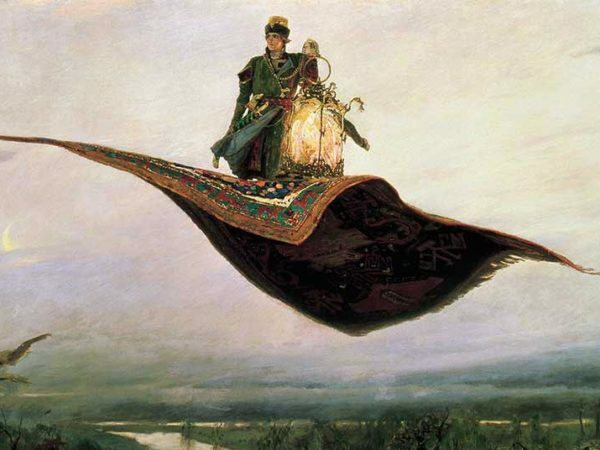 Depending on whether a rug is made of wool, cotton, silk or synthetic fibres, we wash it by hand, immerse it in a wash pond or dry-clean it using a perc solvent. 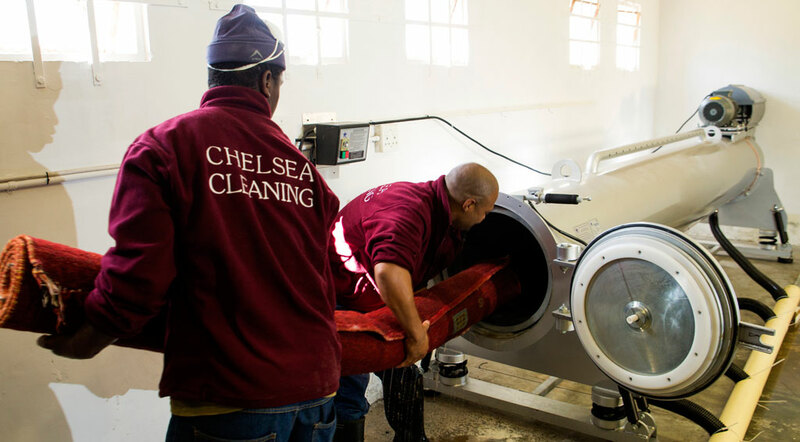 Our specialised centrifuge rinses and wrings carpets, and dries them in record time – without pulling them out of shape or risking shrinkage. 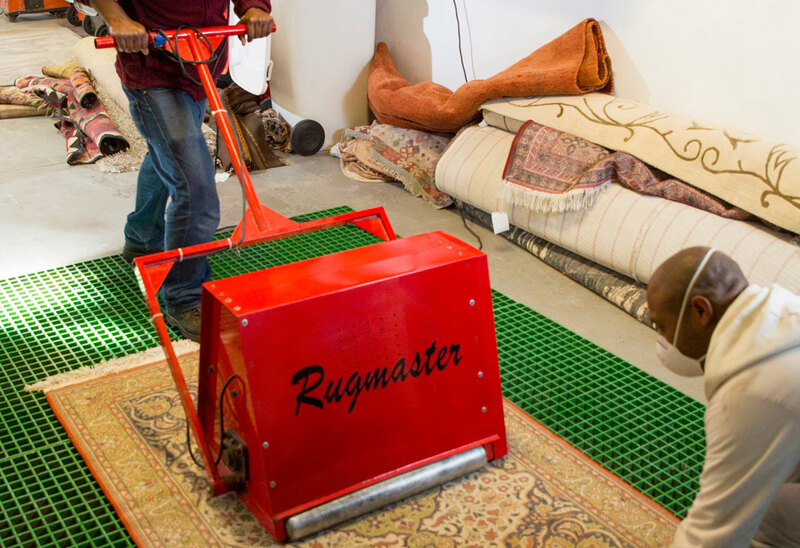 The machine dries a carpet by up to 95% in just two to three minutes. 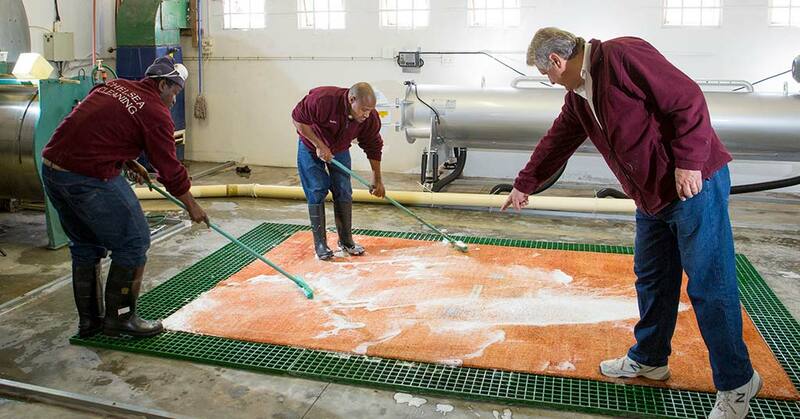 For highly sensitive carpets that require a slower drying process, we still use traditional air drying rather than the centrifuge. 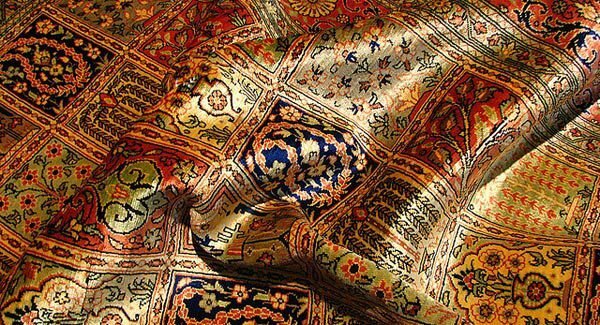 We handle all types of carpets, from prized Persians to woollen rugs and flokatis, durries, kelims and modern carpets made from synthetic fibres. Contact us if you need help restoring your carpet.